As creators of inspiring new communities, Empire believes that we have a responsibility to positively impact the neighbourhoods we build and the communities we create. We are committed to being a positive driving force behind a communities quality of life and well-being. Over the years we have supported all kinds of different initiatives big and small, from helping to build a community centre to sponsoring a team or local event. We appreciate and value the support that we’ve had along the way and therefore try to give back in meaningful ways. We are passionate about homebuilding and that extends beyond the sticks and bricks, the communities we create are integral to the legacy that we leave behind for future generations. It’s the families and people that make a difference and we strive to support their efforts within the community. 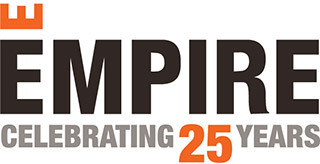 Beyond our corporate donations and sponsorships we try to be leaders in other ways, from our green building practices to industry leadership, Empire tries every day to be an example of positive change in everything we do. For more information on our donation and sponsorship requirements, please contact Hien Le by phone: (713) 896 8542, or email: hle@empirecommunities.com. Find out more about our past community involvement and leadership in the industry.